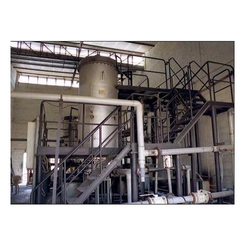 We are a leading Manufacturer & Exporter of Carbon Di Oxide Production Plant such as Carbon Dioxide Production Plants, CO2 Recovery Plant Distillery Based, Carbon Dioxide Plant Brewery Based, Calcium Chloride Based Recovery Plant, Carbon Dioxide Production Plant Diesel Based, Carbon Dioxide Recovery Plant Kerosene Based and many more items from India. Counted as first among the best, we present the premium quality of Carbon Dioxide-Based Brewery Plant. Fabricated in accord with the industry laid norms, the offered carbon dioxide production plants are known for their optimum production of carbon dioxide. 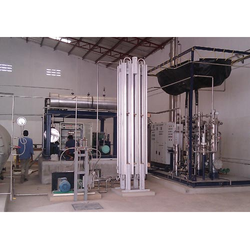 Our customers can avail the carbon dioxide plant in various technical specifications. Keeping the track of latest happening of this domain, we present clients with the premium grade of Carbon Dioxide Production Plants. 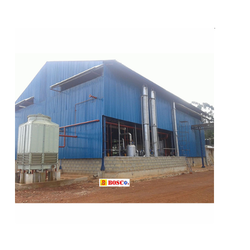 High CO2 production rate, easy operation and low maintenance, make the CO2 production plants highly demanded. By following total quality management, the quality of CO2 production plants is never compromised. Our quality range of Carbon Dioxide Plant Charcoal Based is based on a very sturdy design including cross head and stuffing box, which ensures complete isolation between the combustion chamber and the lubricating oil and thus prevents contamination of the lubricating oil. The charcoal base plant offered by us is in high demand all across the globe and is manufactured using quality raw material procured from reliable sources. 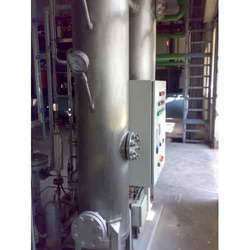 Looking for Carbon Dioxide Production Plant ?